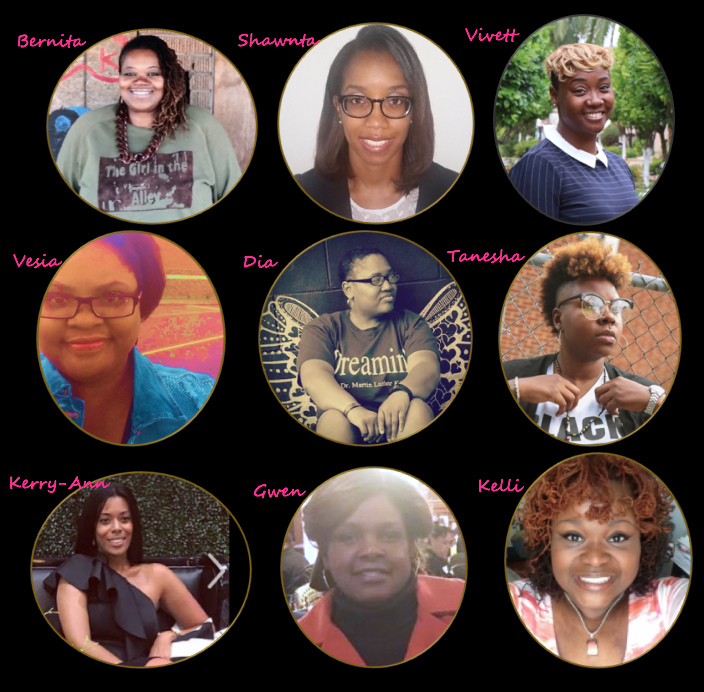 We are a melanin-infused collective of educators and education advocates sharing our voices through our individual blogs. Through this magazine, we will offer our perspectives on education from our respective fields and locations -- uniting into one powerful voice. Tanesha’s blog was originally posted at her blog Hope + Outrage. That’s what my favorite local news station, WGN, had to say about Ermias Joseph Asghedom—better known as rapper and songwriter Nipsey Hussle—in reporting about his murder the other day. I was pretty disappointed in their portrayal. Shame on @WGNMorningNews for their coverage on #NipseyHussle. Had to mention that he was in a gang when he was a teen but no mention of the work he’s done in the community in his adult years. Damn y’all stay trying to tear a Black man down, even in death. While I didn’t know much about him before learning of his unfortunate and untimely death, the outcry and love shown for this Brother on social media was a strong indication that this was someone I needed to know. Because more than a former gang member, he was a community activist, entrepreneur and devoted family man. And beyond that, his life and death carried some key messages that Black students should know to keep them encouraged while navigating and experiencing some of the same obstacles as Nipsey Hussle. If you’re Black and from a low-income community, you’ve probably been labeled with or pre-judged by a list of ignorant generalizations like you’re poor, uneducated and likely to become a criminal. Or if you are educated, you’re seen as an anomaly having survived “the hood.” On top of all that, you’re less likely to receive the same funding and resources for education as White students. Both presumptions are hella annoying and as jacked up as all of this is, people are still making a way out of what seems like no way. Nipsey was from Crenshaw—considered to be one of the roughest neighborhoods in Los Angeles—and he became a self-made millionaire. Jay-Z came from the Marcy Houses in Brooklyn, also known to be dangerous. And educator and recently elected congresswoman, Jahana Hayes, grew up public housing projects. Nipsey Hussle left home at 14 and later dropped out of Hamilton High School in LA after being accused of breaking into computer lab. From there he started hanging in the streets, committing crimes and eventually joined the Rollin 60s gang, a faction of the infamous Crips gang. The public school system is designed for Black kids to follow the preschool-to-prison pipeline. That means that the minute you hit pre-K there are obstacles in place to set Black students up for failure and land them in jail. As a matter of fact, Black preschoolers are 2.2 times more likely to be suspended than other students. Considering the fact that he was pushed out of school and fell into a hard knock life as a teen, Nipsey was supposed to be in jail. But, he was able to survive by never losing sight of his goals and continuously pursuing his passion—and that’s how he beat the prison pipeline. 3. College Isn’t for Everyone But That Should Be Your Choice Not Someone Else’s College gets shoved down our throats like it’s the only way to achieve the “American Dream.” It happened to me and I’m sure it’s happening to y’all, too. But, college isn’t the only option—Nipsey Hussle is proof of this. Nipsey was a self-made millionaire who invested his time and energy into his passion, music. He didn’t go to college to learn how to make a mixtape. He didn’t go to college to learn how to sell his music. And he didn’t need to go to college to start his clothing line or open his businesses. Essentially, he educated and surrounded himself with a network that would help grow his empire and legacy. This isn’t an anti-college rant. I’m just urging students to really explore their passions and follow the route that works best for them. Let’s be real, most schools aren’t even actually trying to help Black students get to college, and most colleges aren’t actually trying to help Black students graduate. So if you’re going to choose to skip college then don’t let it be because a racist system tried to hold you back. We often only look at the people in our classrooms as educators and potentially, role models. However, there’s a significant absence of Black educators in classrooms. And even though studies have shown that Black students who have at least one teacher that looks like them are more likely to go graduate and go to college, we’re still struggling with a measly 18% of the educator workforce pie. Nipsey wasn’t a teacher in the classroom, but he was an educator and innovator in his community. He worked to educate people on the importance of investing in their own communities, the science behind and the benefits of entrepreneurship and he even opened a STEM center for students. So we should celebrate the growing list of organizations like Brothers Empowered 2 Teach, Profound Gentlemen, Black Teacher Project and The Fellowship: Black Male Educators for Social Justice, that are working to put and keep more Black educators in classrooms. But in the short term, we have to be more open-minded in our consideration of who qualifies as an “educator” so that we can really embrace the contributions of our entire community. 5. We Gotta Reach One and Teach One Through Advocacy There’s an African proverb that says, “Each one, reach one, teach one,” that was used during slavery to imply that it was the responsibility of those who learned to read to teach others. This is where Nipsey’s legacy will shine. Having undergone all of the struggles that a Black male from a low-income, high-crime neighborhood may face, Nipsey didn’t run away from his community like many people that have “made it.” Instead, he used his fame and influence to uplift and invest in his home. Where he may have noticed education lagging, he created pathways that tapped into youth’s potential where others were unwilling to invest. In addressing gentrification and unemployment, he opened businesses that employed fellow artists and other people in the community. And he sought to prevent crime and injustice by being an activist and collaborating with law enforcement to come up with solutions. In a way, we’re all Nipsey Hussle. We’ve experienced some kind of discrimination or hardship just because we’re Black. But the most important lesson here is to not let those experiences deter you from greatness. And when you reach that pinnacle of greatness, take it back to the ’hood and let others shine through you.